Tank Containers, also known as UN portable tanks, ISO tank containers, bulk storage containers, shipping tanks, or intermodal tanks, are used in the transportation and storage of hazardous and non-hazardous chemicals, foodstuffs, and liquified gases. In the 1960s, containers became the preferred way of shipping goods around the world. The appeal was that every container conformed to sizes defined by the International Standards Organisation (ISO), 40’ x 8’ x 8’6” or 20’ x 8’ x 8’6”. Before long the concept of fitting a cylinder inside the standard 20’ frame was adopted and the ISO Tank Container was born. 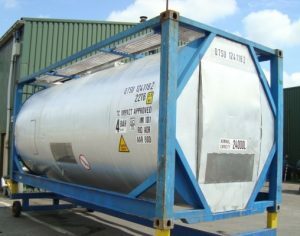 ISO Tanks became a standard for the transportation of liquids (including fuel), chemicals, gases, powders, and even some types of food, around the world. Steve Darnell began work for one the first ISO Tank companies in the world in the 1970s – Trafpac. Before long he was running his own tank repair business, and, over time, moved into the sale and hire of used ISO Tanks. Qualitank Services was incorporated in 1992. 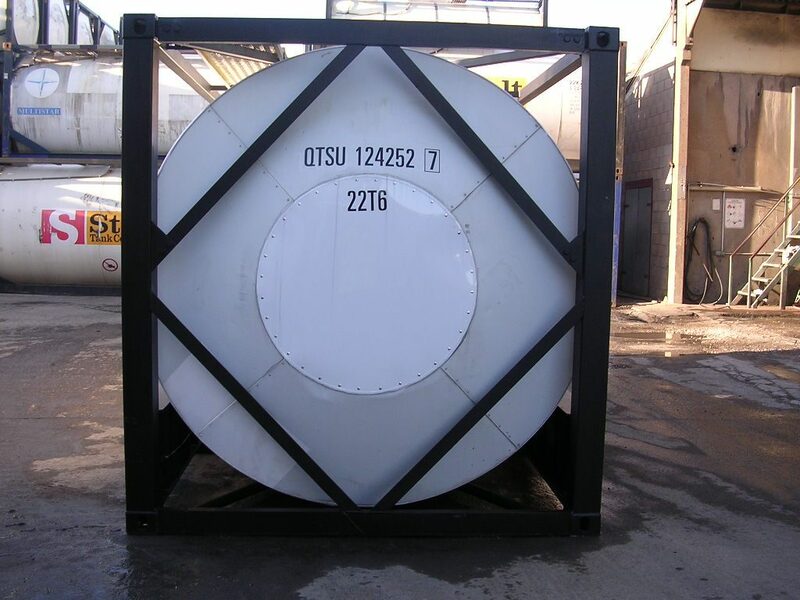 Usually an ISO Tank Container (sometimes called ‘Tanktainer’) is a cylindrical vessel, usually made of 316 stainless steel, fixed to a mild steel frame, usually welded. The thickness of this container will vary depending on the purpose of the tank and will be rated for a specific working pressure. Beyond that, there are a bewildering array of variants. Tanks are generally designed for a specific purpose or product and therefore there is no fixed construction that applies to all tanks. 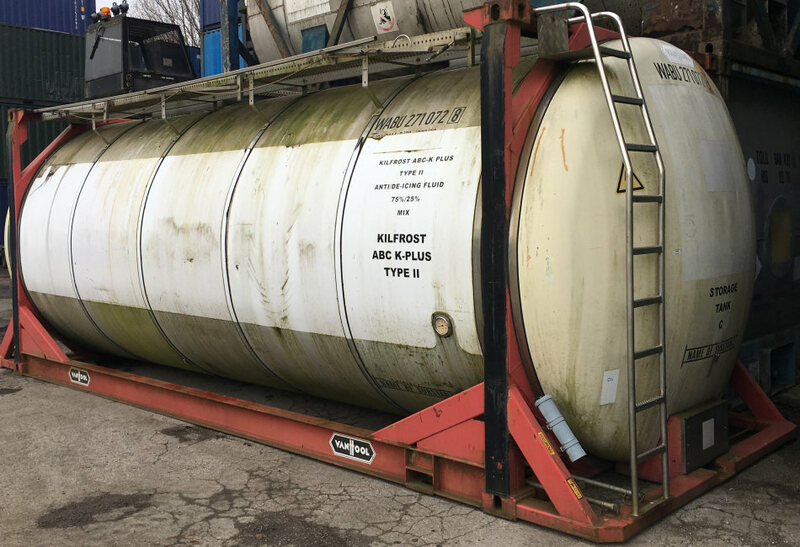 Because the product to be carried may have a specific gravity that restricts the volume that can be carried and because there are limits to the weight that a loaded ISO Tank can be, the capacity of tanks varies greatly, typically from 21,000 Litres up to 27,000 Litres in a standard sized frame. Capacities beyond this are possible by extending the tank length so it sits outside of the standard frame and these tanks are known as ‘Swap Bodies’. Swap Body tank capacities can exceed 30,000 Litres. Most tanks have means of heating the product inside to allow the contents to flow more easily. The heating is most often done by passing steam through pipes attached to the tank, which are surrounded by a layer of fibre glass insulation, which in turn is encased in either Glass Reinforced Plastic (GPR) or Aluminium. Some tanks have an electrical heating system. Others have a refrigeration system to keep their contents cool. 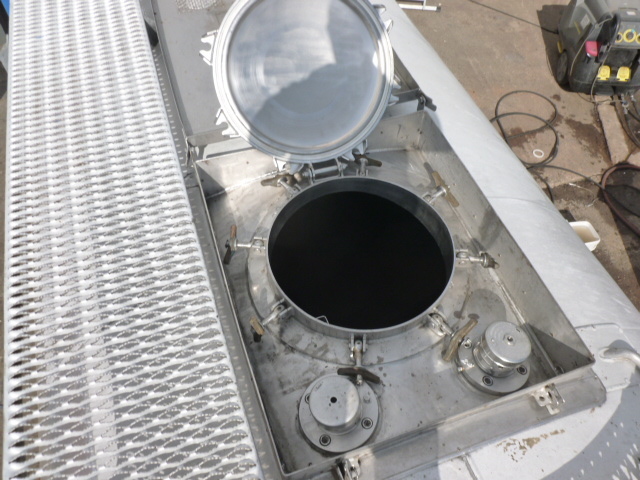 Some tanks have a rubber lining as the product being carried is highly corrosive. Some tanks have 2 or more compartments. Some tanks are designed to be pressurised for the transport of gasses. 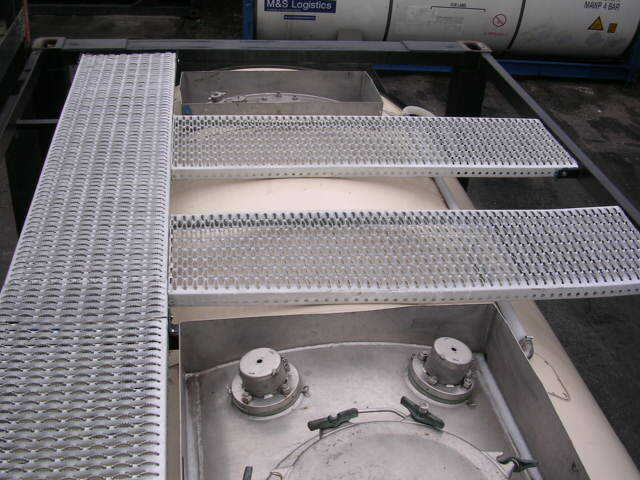 Some tanks have no heating/cooling or insulation and are used for the transport of powders or liquids which flow easily at normal temperatures. When sourcing our tanks we remove the identifying marks of the previous owner and apply our own numbering system based on internationally accepted code. This means that every single tank or container shipped around the world has its own unique number. 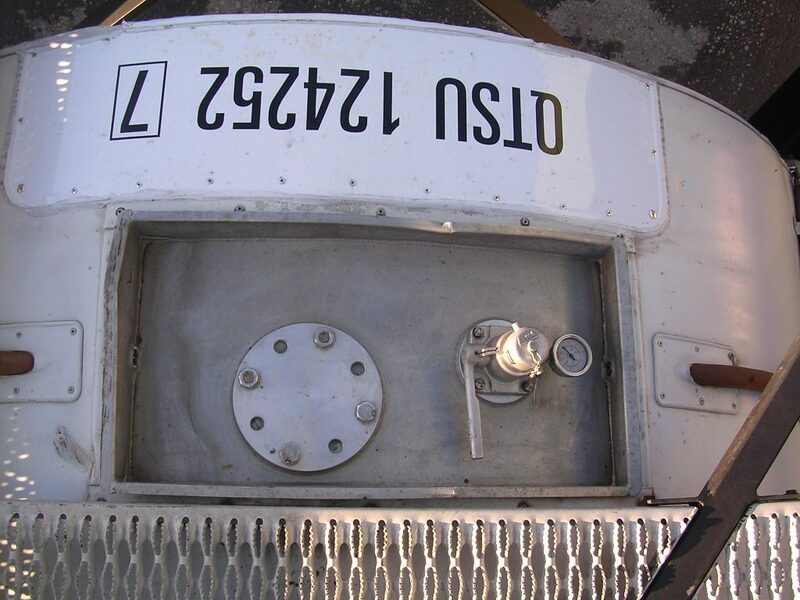 Most of our tanks begin with the prefix QTSU…. All tanks will have a means of both filling and discharging the contents. The most common discharge is an outlet located on the bottom of the tank and will allow discharge under gravity. (Bottom discharge). Most tanks will have a means of pressurising the vessel to facilitate pumping the contents out. Some tanks will have a pipe going down from on top of the tank to the bottom inside the tank. This facilitates the pressurisation of the tank to allow discharge through this pipe (Top Discharge). UN type T11 tanks bottom discharge outlets must have at least three independent valves that can stop the flow of any contents. A screw on cap qualifies as one of these 3 valves. For inspection purposes there is an opening on top of the unit (man lid) that is 500mm or larger in diameter. Usually this is positioned inside an external fitting known as a spill box. The man lid is sealed with a high-quality gasket. The spill box is as it sounds, there to collect any spillage of the tank contents. 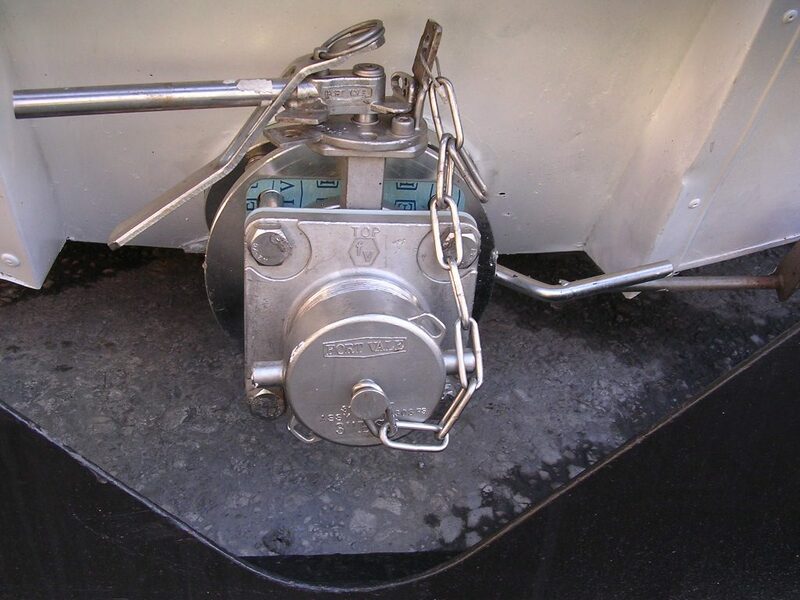 Within the spill box is often a valve that allows for the depressurisation of the tank, sometimes with a means of safely collecting or returning the gas back into the tank. As a tank container is designed to be pressurised then there has to be a pressure relief valve, often also incorporating a vacuum relief in the one piece of equipment. 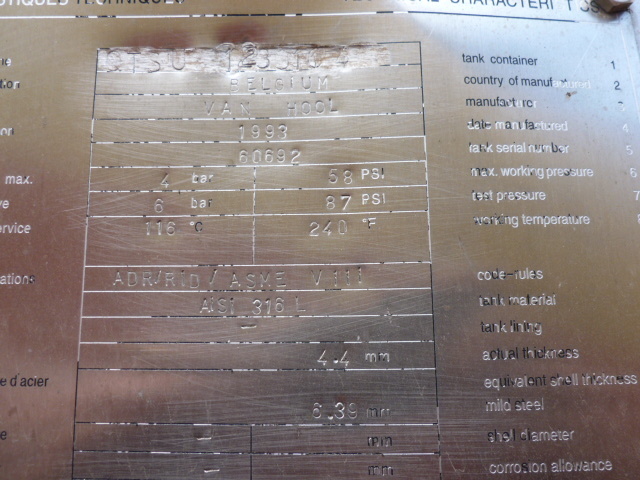 Every tank will have a data plate on which are stamped important details about the tank. Manufacturer, Serial Number, Year of Manufacture, Date of first test, Date of last test, the type of test (2.5 or 5 year), Tare Weight, and Maximum Gross Weight are some of the information recorded on the data plate.